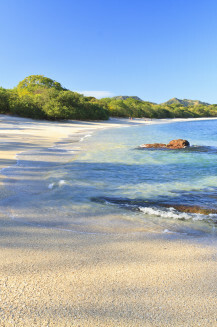 Discover incredible wildlife and pristine natural scenery on tropical Colón Island. 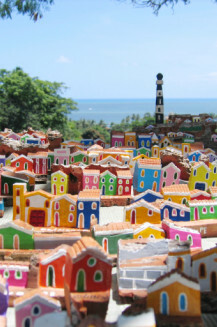 Visit the beautiful mountain city of Boquete. 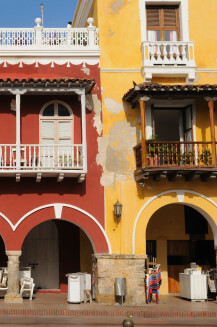 Take a trip to cosmopolitan Central American capital, Panama City. Uncover the beauty the world forgot at Colon's Bocas del Toro. Discover the warmth of Panama's people. 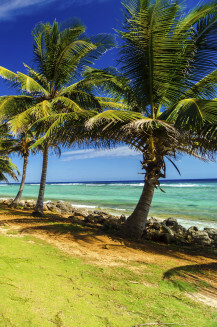 Sandwiched between the Caribbean and North Pacific Ocean and bordered by Costa Rica and Colombia, Panama is like an oasis of paradise, a perfect stop on a backpacking trip through South America or even as a relaxing holiday destination. Panama’s history is rich and exciting – from tales of pirate, Captain Henry Morgan, to engineering marvels such as the world-famous Panama Canal. Book a hostel here and snorkel and scuba dive in the clear turquoise sea; relax in laid-back Bocas del Toro; visit the oldest city in the Americas, Casco Viejo; canoe to Embera Indian Village where they live as they did hundreds of years ago; or explore the rainforests, home to hundreds of different bird species. Visit the ‘Miami of the South’, Panama City, with its cultural diversity and modern skyscrapers; Boquete with its coffee farms and pristine natural setting; or the city of David for shopping and nightlife. A marvel of engineering, Panama Canal transports ships between the Atlantic Ocean and the Pacific Ocean. 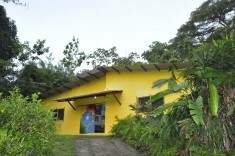 La Buga dive shop and surf school is located in the heart of Bocas Town. Discover all the incredible wonders that Bocas del Toro has to offer below the water's surface. Discover the rainforest from a higher point of view with a zipline canopy tour! Pirates, gold and plunder - Panama's history is fascinating enough to dwarf any Hollywood blockbuster! Two blocks of Via Espana in Panama City, fill up on authentic fare serving everything from ropa vieja (stewed beef, but literally "old clothes"), to Panamanian breakfasts including bistec encebollado (skirt steak smothered in onions), tortillas (thick deep-fried corn patties), and carimañolas (cassava croquets stuffed with ground beef). Let the feast begin. This elegantly crumbling quarter of the capital dates back to the late 1600s and holds UNESCO World Heritage status. You can make friends with, or at least greet these weird critters on this trail. Located in the vicinity of the Bahia Honda Community, at the end of the bay with the same name (between Bastimentos Island and Solarte Cay) the trail is led by local guides found in the restaurant of the community project, TIMOROGO.